1. Brick Layer / Single Scaffolding. 2. Mason’s Or Double Scaffolding. 4. 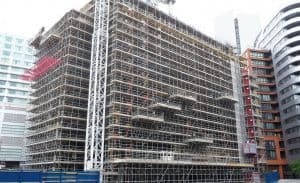 Needle Or Cantilever Scaffolding. Formwork is a temporary structure used as a mold in which fresh concrete are poured to cast the members of the structure at the site. It is also known as falsework or shuttering. 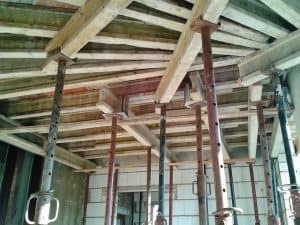 In the context of concrete construction, the falsework supports the shuttering molds for example column sides, beam sides, slab side, wall side etc. So, By their definitions, scaffolds are for supporting labor and materials and act as working platforms. 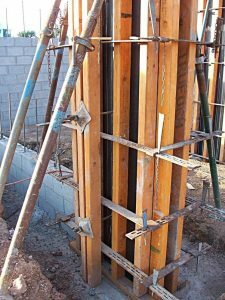 Formwork (Shuttering) acts as molds for pouring concrete. 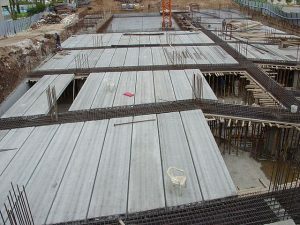 Part of the formwork which supports the horizontal surface is called centering for example slab bottom, beam bottom etc. Also Read – Checklist For Shuttering.